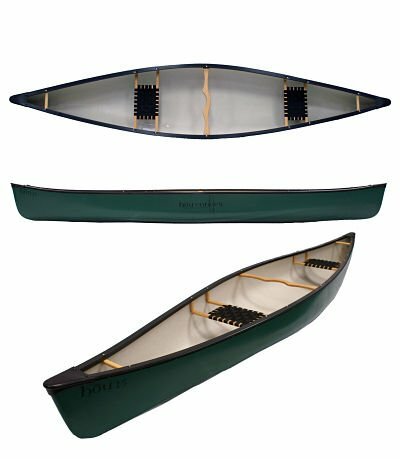 Canoe prices include shipping to Ireland, but not necessarily to your door. Depending on the specification chosen, manufacture and delivery may take several weeks. Contact us if you have any questions. 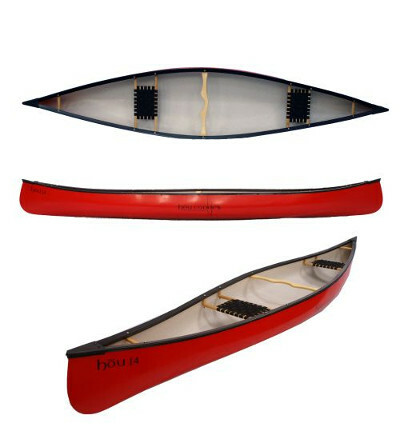 The hōu 13 is based on a Peterborough Canoe Company design classic. The original design spec was a boat that would carry ‘smallish’ loads, be relatively light and easy to portage, but would track well and paddle easily on open water, lakes, rivers and low grade white water. The main aim of the boat was to ‘look after the solo paddler’ and their kit, in the majority of conditions including white water. 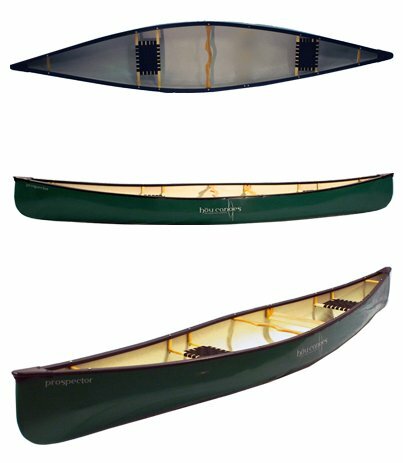 The ‘baby Prospector’, fine entry on the bow and stern, classic re-curve, moderate tumble home and the classic open canoe look. 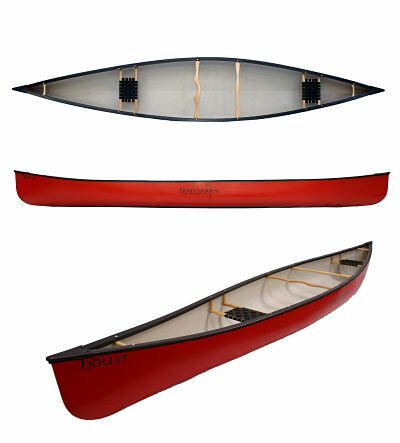 Complemented by a shallow v hull that gives good initial as well as great secondary stability and assists the solo paddling experience so well. This is a touch longer than the hōu-13 and with a higher load carrying capability. A derivative from the great Peterborough Canoe Company, this boat was designed as the next boat up in a ‘quiver’. It will carry a touch more load, track a little quicker and in reality be a touch more of a ‘multi tasking’ boat. As it’s a little longer and a little deeper than its smaller brother you will see a bit of a drier ride in the bouncy stuff and a touch more forward speed. Again this shape was designed as an all rounder so it will paddle well on the open water and flat river days too. Simply put, hōu 15 will carry everything you need for a weekend away. You can take anything, and still enjoy the journey. 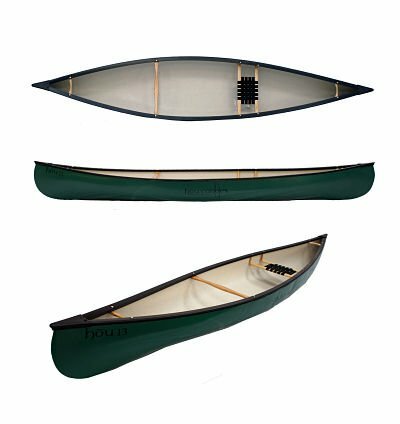 Designed with a ‘modern’ canoe style this boat is maximised for efficient paddling and load carrying. A flatter, very slightly rounded, hull shape provides fantastic initial stability, which in turn provides a confidence that you will struggle to find in many canoes. At 15 feet it’s the ultimate length for an all rounder. This boat will help you down the lumpy bits of water and take care of you on the flat as well. A great modern style all rounder with good tracking and load carrying. Also a firm favourite with outdoor centres and coaches alike. Its just designed to work in whatever environment that you choose to take it. It will look great and perform on the water. The hōu 16 is all you need for a good trip! Be that a day out with the family or a multi day adventure. It will carry plenty of gear, or a lot of kids with ease. Its the big brother of the hōu-15. The extra 1ft length over its younger sibling gives a more efficient glide and improved tracking whilst the slight rocker aids turning when required. With good depth it will handle white water and help you on the lake or river. A fantastic modern all rounder. As a modern style boat that performs exactly as you would want it to. Great carrying capacity whilst being kind to you on the moving water and not too much of a handful in the breeze. 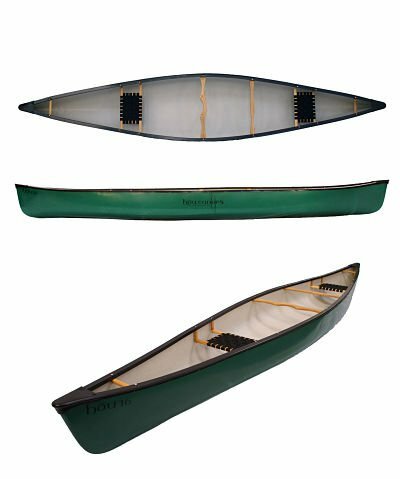 The flatter, slight rounded hull is well proven and will make paddling this boat an enjoyable experience whatever your skill level. Another popular boat with outdoor education centres. This boat is as amazing as the hōu-13 is fun. Designed with the explorer in mind or the hire operator who needs reliability and durability. It’s a sublime balance between load carrying and efficient paddling. . This boat eats up the miles with ease. A fantastic long distance expedition boat that paddles well when substantially loaded. Alternatively it paddles amazingly as a fast day boat, hence the hire operators choice. As for the style, it’s the great modern blend of flattish hull, slight curvature and rocker allowing for manoeuvrability when required but focusing mainly on making forward paddling easy. Simply it’s a longer, more efficient, slightly sleeker version of the brothers 15 and 16. People who have paddled it in the past always remark on how great it feels for such a large boat. If you want a boat that will look after you on a long trip, this is the one. The Chestnut Prospector is a design legend and the hōu Canoes take on an all time classic retains all the best characteristics of this versatile boat. This canoe was originally designed as a trading vessel so had to paddle well on both open water such as lakes, and also on moving/white water rivers. It had to paddle well unloaded but also had to be able to carry a good load on the return journey. Today we still want the same from our canoes, all be it for different reasons. This boat is a joy on lakes and rivers, and will give you a dry, predictable ride whether you are solo or loaded up for a multi day trip. Available as Standard, Low Cut and Lodge specs in plastic or wood trim.